Steven Birnbaum’s career in bridal gown design started when he began designing costumes for Broadway 40 years ago. He finds his inspiration through the culture of Manhattan and brings his designs to life with his skills in functionality and craftsmanship. We sat down with Birnbaum as he prepares for his trunk show and personal appearance at Stanley Korshak this week. How did you get your start in bridal design? While designing for Broadway, I had a lot of private clients coming to me looking for wedding gowns. At that time in the late ’80s, there was nothing in the market that met their needs. They were professional women and wanted a more tailored kind of look. I bought a small classified ad in the New York Timesfor custom gowns, and I got a tremendous response. Living in Manhattan, I find inspiration just walking around outside. I’m a very observant person, and I’m lucky to be able to travel a lot, so I am able to distill what I see into something that I can work into a gown. I also find inspiration from’60s and ’70s sportswear because they have a very architectural, modern look to them. How do you think your designs set you apart from other designers? I love working with brides on their weddings, and I feel honored to be a part of their wedding. What sets me apart from other designers is that I put a lot of effort into the craftsmanship of the gown. I like the dresses to look pure and without a lot of embellishment. I never try to make dresses that are show-girl gowns or say too much. Brides bring their personality into the gown, so I do a lot of custom changes, and I leave room for the bride to put her own stamp on her dress. How has your experience with designing costumes for Broadway influenced your bridal gowns? My experience with designing for Broadway has influenced the functionality of the gown. I take into consideration that they are going to be worn for an entire day and need to be comfortable and have a lot of movement to them. How would you describe the Steven Birnbaum bride? The brides that I normally deal with are professional, confident, and not looking for a dress to say everything. They honor the sanctity of their wedding and are looking for a true wedding dress, whether it’s simple or a ball gown—they want a wedding dress. How do your designs relate to Dallas brides? 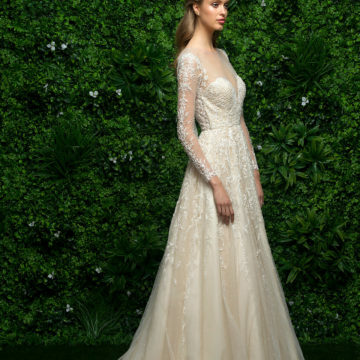 What trends do you see coming in spring/summer 2019 for Dallas brides? I see a pullback from the super tight and sparkly dresses to a swing toward a more traditional dress. Not necessarily lace, but a dress that when you look at it, you can say that it’s a wedding gown. There is purity to the gowns and a lot more sophistication. I think people are looking for a more traditional feel to their wedding. What does the future hold for Steven Birnbaum bridal? 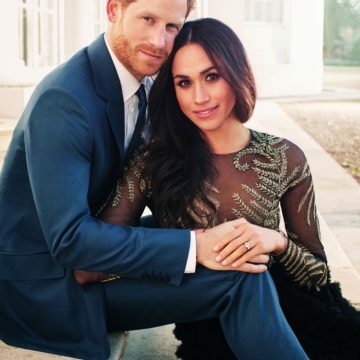 A wedding gown is probably the most expensive piece of clothing that anyone’s going to be purchasing, and they deserve to have that personal connection. What I’m looking forward to at the personal appearance for Stanley Korshak is to be able to work with the brides. It’s great for a bride to look at a dress and fall in love, but it’s an even better experience for the bride to get to meet with the designer. She can discuss what she likes or if she wants to change the fabric or a minor detail. So when I go back to the studio, I’ll know who she is and will have an image of that bride, so it makes it much more personal. Steven Birnbaum will make a personal appearance at his Stanley Korshak turnk show January 25–26. Click here for more info.